Why Choose Nazareth for Italian? The study of Italy's urban culture, its 20th century literature, the Italian cinema, classical works such as the Divine Comedy, study abroad, and of course, learning to speak the language are just a few of the ways Nazareth students visit Italy from all perspectives. The classes are not simply about conjugating verbs or sitting in language labs—they are an immersive experience in the culture, literature, art, and people of Italy. Study abroad is a requirement for all foreign language majors. Through Nazareth's affiliation with the Università degli Studi 'G. D'Annunzio' in Pescara, Italy, our students live and study Italian culture for a summer, a year or a semester. Nazareth students take courses with Italian students and are housed in apartments close to the university for a genuine experience of life in Italy. The program includes weekend trips to Venice, Florence and Rome. Study abroad in Pescara, Italy, including a five-week summer program and Florence, Italy. Casa Italiana, center for Italian studies, art exhibitions, special events, guest speakers, dinners, festivals, and more. Gamma Kappa Alpha Italian Honor Society chapter. The SITE (Student Internship Teaching Experience) Program of Lombardy, Italy, an opportunity for recent graduates to apply as English teaching assistants. Education: A native speaker of Italian, she received her Ph.D. from the University of Michigan, Ann Arbor with a thesis on Italian playwright Luigi Pirandello. 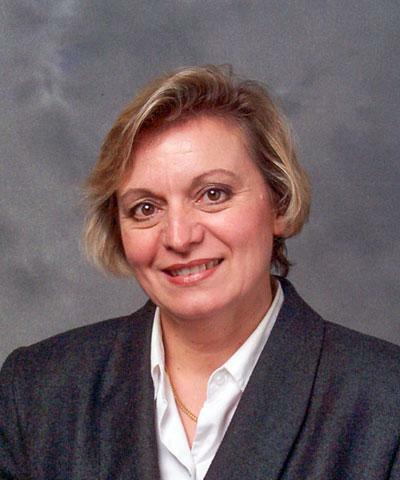 Teaching and Research Interests: Teaching since 1978, Prof. Vitti-Alexander believes in closely associating with her students for a fuller appreciation of the language and culture of Italy. In addition, she has accompanied students abroad through the University of Michigan Summer program in Florence for 18 years. She is presently running a summer program for Nazareth in Pescara. "Being a student of Italian at Nazareth College opened my eyes to so many opportunities, both in my career and my life. Not only did my studies strengthen my knowledge, culture, and resume, but also gave me a passion for the language. Being able to apply my passion to my career and life gives everything more meaning. When your passion becomes a part of your job, you wake up every day loving what you do – and that is most rewarding."